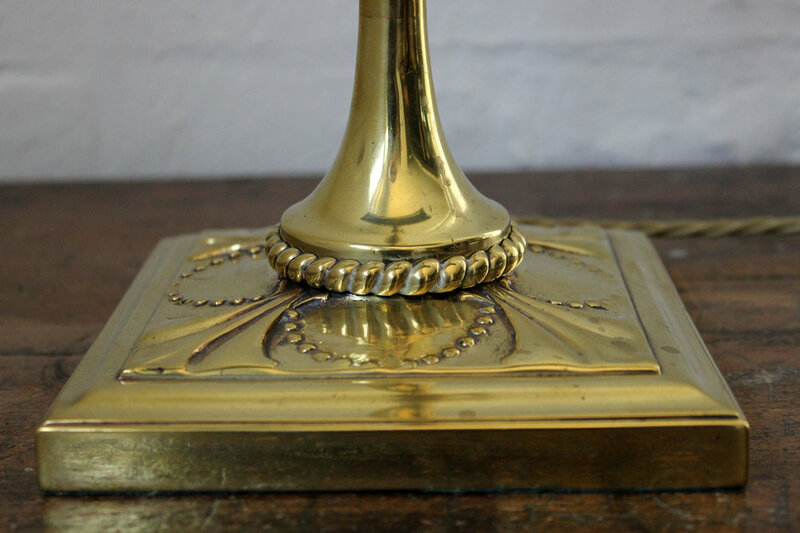 This brass desk lamp dates to the 1920s. It has been rewired and is ready to use, featuring braided fabric flex. Sourced in England on one of our antiques buying adventures for our sister store, The Drill Hall Emporium.